What if every cup of coffee that you serve is met by your customers with the unmistakable sounds of “mmmmh”, “aaah” and “that’s a cup of really fresh coffee”. 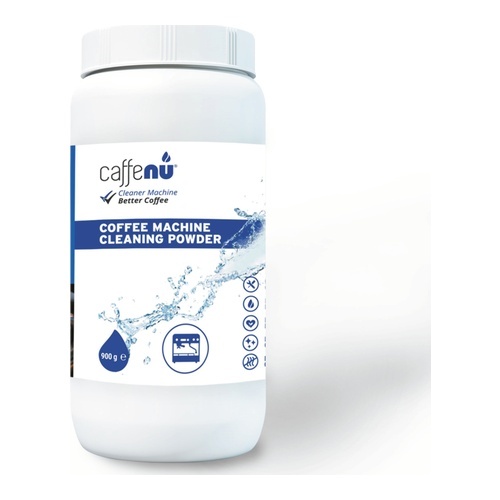 With the Caffenu® Coffee Machine Cleaning Powder, your espresso coffee machines will keep working perfectly, ensuring the best cup of coffee every time. This concentrated, fast acting cleaner removes dirty coffee oils, odours and bitter tannins from your group heads, lines and valves. 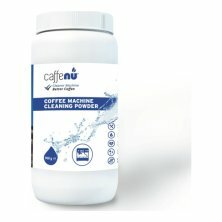 Use it to clean manual and semi-automatic espresso coffee machines. 900 g per Powder Tub. Contains no phosphates, environmentally friendly. Recommended usage: For best results, use daily or after every 100 cups of coffee made.